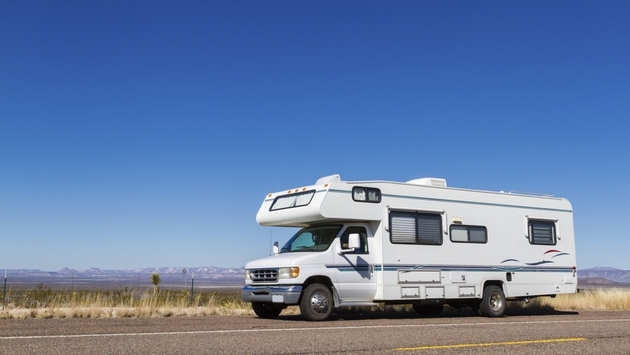 Now you can rent your RV to other travelers when you aren’t using it. RVShare.com, the world’s largest RV rental marketplace, has been offering rentals from dealers since it was founded, but only in the last three months or so has it been including rentals from RV owners. It is the first RV travel platform to offer a peer-to-peer system. The response to RVShare.com accommodating the peer-to-peer market, as you can imagine, has been overwhelmingly positive. Last Wednesday, the site was featured on ProductHunt.com, a major website for tech startups. This was particularly noteworthy because the site receives hundreds of submissions per day and only posts about 10 to 40 of them. RVShare.com ended up receiving more than 85 upvotes, including praise from executives at Google Ventures, Microsoft and Conde Nast. So, how does the peer-to-peer system on RVShare.com work? RV owners start by selecting their RV type, year and length via a drop-down menu. Then, after signing up (no credit card required), they can begin adding pictures and a description of their RV. Listings are completely free. You do have the option to be a “featured listing,” however, for a small cost. RVShare.com will also help owners with insurance options, as well as suggest rates based on location and type of RV, although the rental cost is ultimately up to the owners. Owners are paid directly via check, PayPal or credit card (if the owner opts to allow credit card payments). One of the toughest parts of owning an RV is the fact that when you aren’t using it, it’s just sitting there in your driveway costing you money. It sits there for roughly “90 percent of the time” for many owners, as Clark noted. RVShare.com is designed to alleviate this concern. According to the website, estimated annual earnings of owners on RVShare.com range from $19,200-$48,400 (although earnings vary based on length of rental period, location and type of RV). In fact, some owners have enjoyed the idea so much that they are renting more than one RV out, Clark said. Of course, the benefits are certainly there for renters, too. Given some owners offer customized RVs with plenty of bells and whistles, it’s no wonder the peer-to-peer system has been a hit for those looking to take an RV out on the open road. RVShare.com currently accepts all RV makes, models and years. Travelers can search RVs by type, location and type of trip (for example, Yellowstone National Park). For more information, go to www.rvshare.com.